Vapor4Life entered the US vaping race early. Newer brands like Vaporfi, however, caught the public imagination a few years later. Now the race has evened out. There are benefits to shopping with either firm online and in their stores, but which one comes out on top? This article will compare and contrast products, services, and extras from both companies. We will look at rewards and affiliate marketing plus their respective audiences. Each one is a US-based firm, Vapor4Life in Illinois and Vaporfi in Florida. Right from the start I can tell you that Vaporfi is the more successful firm, but I’m not rating their profit margins. There is no aspect of business these two vaping giants share more than a love of good e-juice. Both of them sell a huge range of flavors plus styles for all kinds of atomizers. Vapor4Life prices are cheaper than those at Vaporfi, $2 less per bottle of regular or premium e-liquid when comparing like for like. Their range is about the same, but Vaporfi provides custom blending, something that is not a feature at Vapor4Life. Both firms mix products at approved US labs but only Vaporfi provides extensive information about their ingredients. 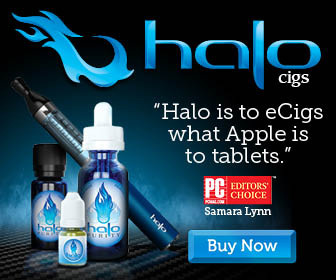 Vapor4Life tells customers they use food-grade flavoring but says nothing about USP bases or pure nicotine. Vaporfi gives their clients the full run down on ingredients. Vaporfi quickly developed a range of products for very early vaping, intermediate, and advanced vaping. Their range has evolved considerably. Products come and go. Vapers see a product released one day and a few months later it’s in the clearance section. They appear to be phasing out one-piece herbal vapes after a long-term experiment with those. Vaporfi isn’t sure of themselves sometimes. Vapor4Life is slow to release new products and seems content in the low-to-intermediate market. New vapers gave Vapor4Life their start and the firm is loyal to them. Vaporfi always seems to have their sights set on the advanced market instead. Thus, the range of products at Vaporfi is extensive and constantly changing. You can buy an Express kit for very new vapers, the Pro 3 eGo-type vape, APVs like the Rocket or Rebel, or a Vox mod plus suitable atomizers for each one. Vapor4Life sells two types of mini cigs plus an eGo-type device known as the Zeus, e cigars, and disposables. Mods are available, but these are Joye, Aspire, and SMOK products plus accessories. Vapor4Life is currently using suggestive images to sell e cigs which I don’t approve of. Vaporfi hasn’t stooped so low and focuses more on technology plus the “green” element, prominent in their web design. Vaporfi runs a successful rewards program. Customers earn points by shopping and also for referring Vaporfi on social media, etc. Vapor4Life does not offer such a program. There are affiliate marketing opportunities with both companies, but the Vaporfi one is more detailed about the percentage one will receive and how often. Vapor4Life runs a program and it might do very well. What you need to know in order to determine which program is better are some site analytics, such as number of visits and conversion rates. A higher commission is not always as appealing as a higher rate of sales from those visits. Also, the company of greater use to an affiliate marketer is one which sees a lot of new customers, not necessarily the one boasting a loyal base of clients. When I searched for coupon codes where many affiliate marketing codes are embedded, I didn’t see either firm’s name. I would have to place Vapor4Life ahead of Vaporfi on the strength of their confidence, earlier start, and variety of devices geared towards beginner vapers. I appreciate the total lack of sexual marketing at Vaporfi, however, their reward program, and Vapor4Life’s selection. Vaporfi leads the way with advanced vapes and mods and all things in that category, along with their massive e-juice selection.